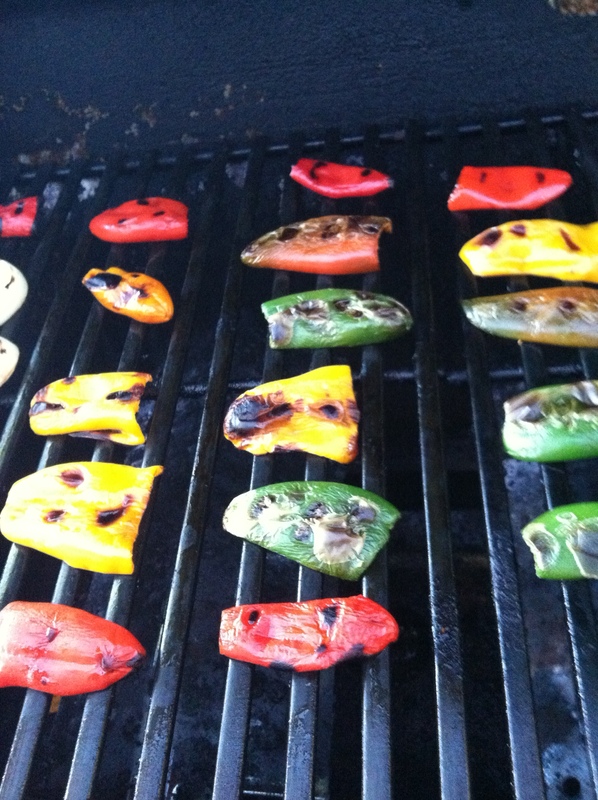 Yesterday, I mentioned that my spouse wanted me to grill peppers, so tonight I did. And it was way easier than I thought it would be. Then I got the gas grill nice and hot – about 400 degrees. Thankfully, we still had propane! Nothing like running out of gas for the grill to make dinner fashionably late …. After scraping and oiling the grates, I put the peppers skin side down and grilled them with the cover closed for about 5-6 minutes, then turned them over and grilled for about 4 more minutes. After removing them from the grill, you can put them in a closed bag to cool and it is supposed to be easier to peel off the charred skins. I haven’t tried yet today, but in the past I have decided that if they don’t come off easily, it isn’t worth removing the skins. Small peppers like these don’t leave a lot of flesh behind. Happy Husband! 🙂 He likes to eat them straight. I like to chop them into salads or put them on sandwiches. The kids just don’t like them. Too bad for them; that means more for the rest of us!